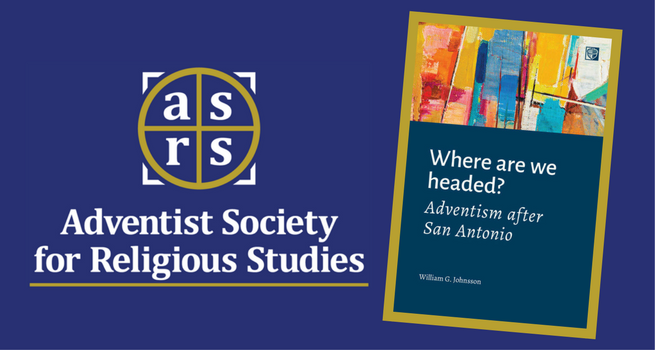 Editorial Note: The following paper was presented at the 2017 Adventist Society for Religious Studies (ASRS) during the Sabbath morning Panel Discussion on the topic of William G. Johnsson’s book Where Are We Headed? Adventism After San Antonio. Read more about the six young scholars who presented and the publishing schedule for the papers here. Our church, which has been fighting in these years only for its self-preservation, as though that were an end in itself, is incapable of taking the word of reconciliation and redemption to mankind and the world. Our earlier words are therefore bound to lose their force and cease, and our being Christians today will be limited to two things: prayer and righteous action among people. How are we as a Church able to truly address the issues of members at the local church level if we are constantly on edge? Constantly looking over our shoulder at evolutionists, rebellious unions, and other threats to unity! We miss the fact that young African Americans (those who are not of Caribbean heritage, like myself) in our denomination have been leaving the church consistently. These young people are struggling to see the value of being part of a denomination that could care less about them and finding solace in traditionally black denominations with a preached and lived gospel compatible with the God of justice they read in Scripture. We miss the opportunities we have as a church to partake in true revitalization and development of our neighborhoods through intentional community development and partnership with local development corporations. We miss ways to minister prophetically and passionately, living out the now of the kingdom while patiently yet eagerly waiting for the not yet. We miss so much when we believe our Church to be so fragile that “unity in diversity” is seen as ending the Church as we know it. I believe Dr. Johnsson sees this too, and I appreciate the way in which he communicates all of the above. Dr. Johnsson concludes in the last two chapters with a call to be the movement God has called us to be. Dr. Johnsson calls us to move beyond our preoccupation with self-preservation and return to prayer, righteous action, and effectual kingdom-living and ministry. Danielle M. Barnard is currently enrolled in the MDiv program at the Seventh-day Adventist Theological Seminary on the campus of Andrews University.